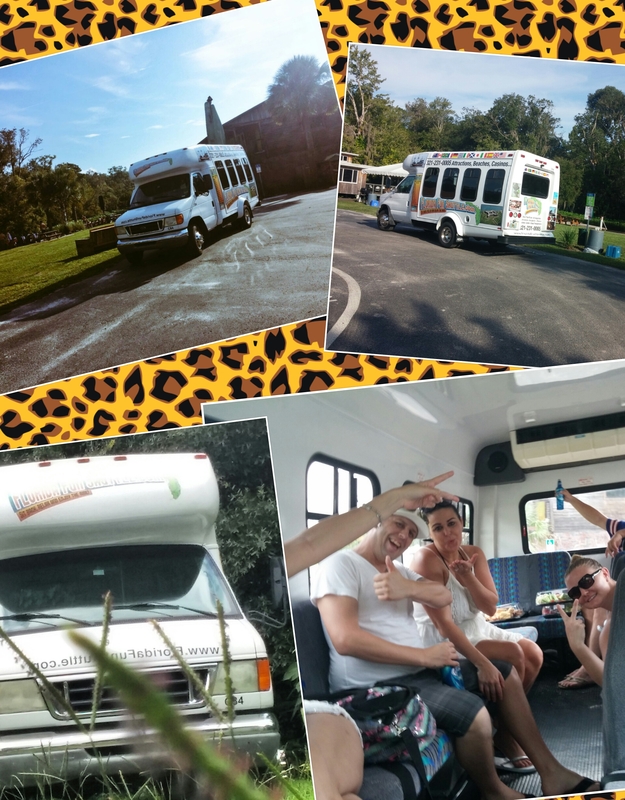 This stand alone slice of pure Florida is one of my favorite getaways to take people for a tour! It has a rich history interrupted by hurricanes. An industry or two lost to a relatively quiet new existence. 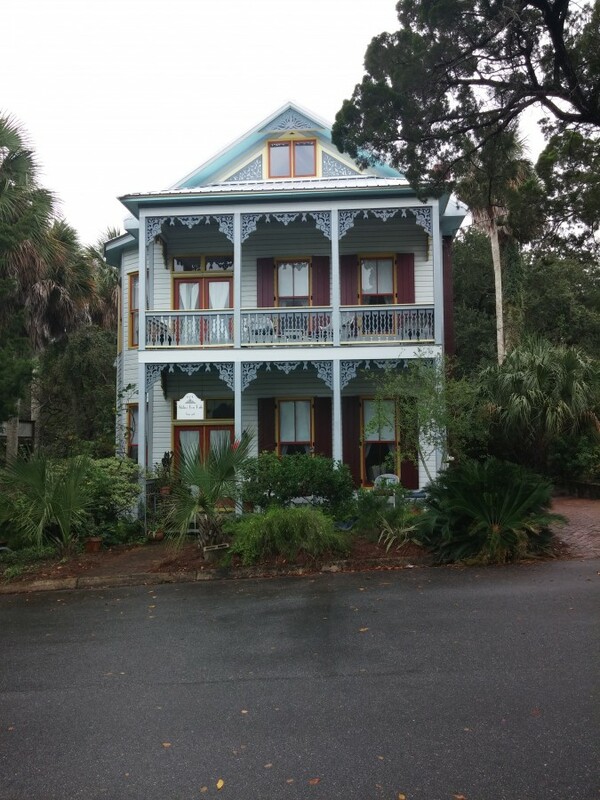 There are some oddball things here, things that are off-putting to some as they have preconceived notions of what a “key” is or what scale a Gulf Beach must be… This is a place true to itself as evidenced by taking a walking tour and exploring something beyond words. This is a real town, a real place with the solid blue collar industry of clamming, the barnacle and rust clad boats are not set pieces. Tourism is allowed but it not overwhelming except during events and festivals. The city beach is small and so is never considered my focus. A dollar goes far here when it comes to accommodation. As well the waters are something to be seen, by kayak, fishing or tour boat. Exploration of the original Key is a must. Weathered remains of a pencil factory and a historic 19th century graveyard. So much to do! 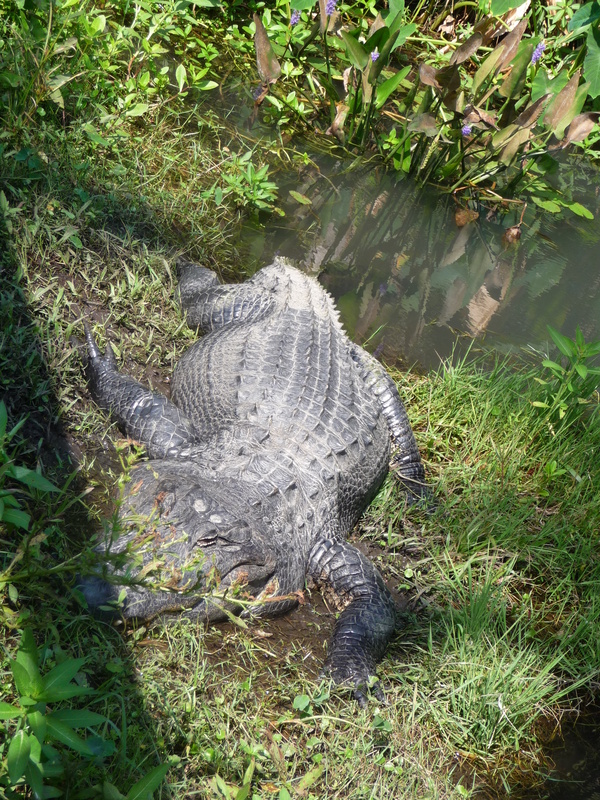 I love helping people plan overnight trips from Central Florida and helping them see the real Florida! Doing it up right! Picked up at a nice house so there is no need for the group to drive later and headed into Orlando. The Milk District was first on the list to start our journey! The first place was Barley And Vine Biergarten and it did not disappoint! It has a great feel and the layout was perfect! There was a nice inside bar area and an outside area with both covered and uncovered seating. I really want to get back on Sundays and enjoy some Brauts off the grill. This is a place that is a must and I heartily recommend it. The beer was all well received, great variety with no duds. 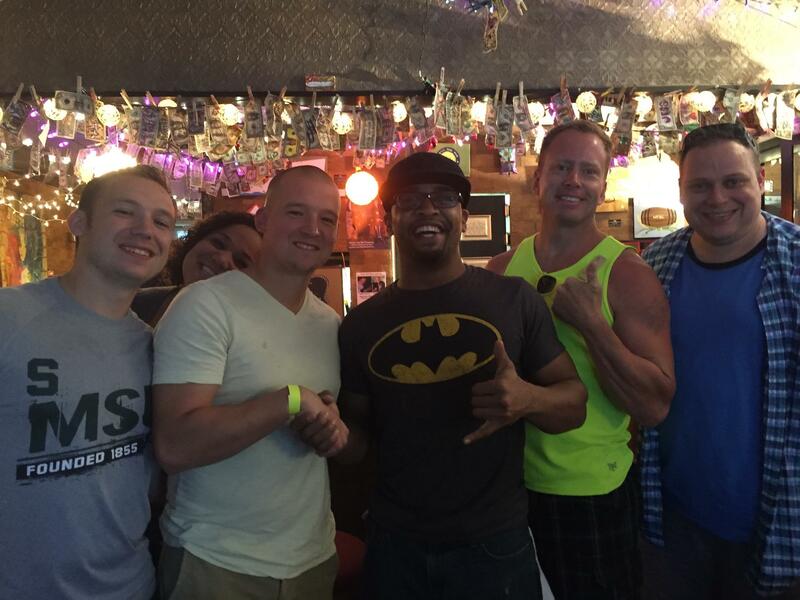 The Bartender was very knowledgeable as well and got everyone exactly what tastes they were looking for. There were just enough screens with various matches on to set the scene without being overpowering. This is a real treasure of a place that really has a great identity. 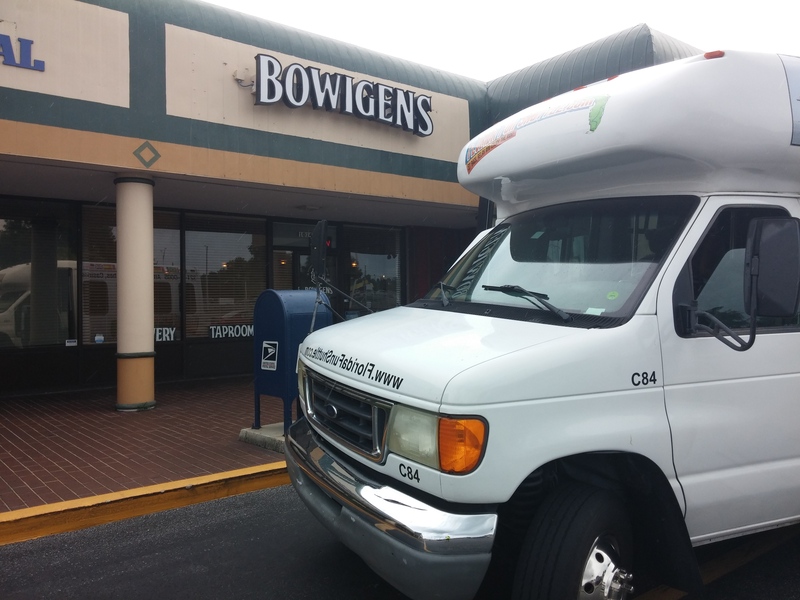 Next up was Bowigens and their flights were amazing and the games were fun. 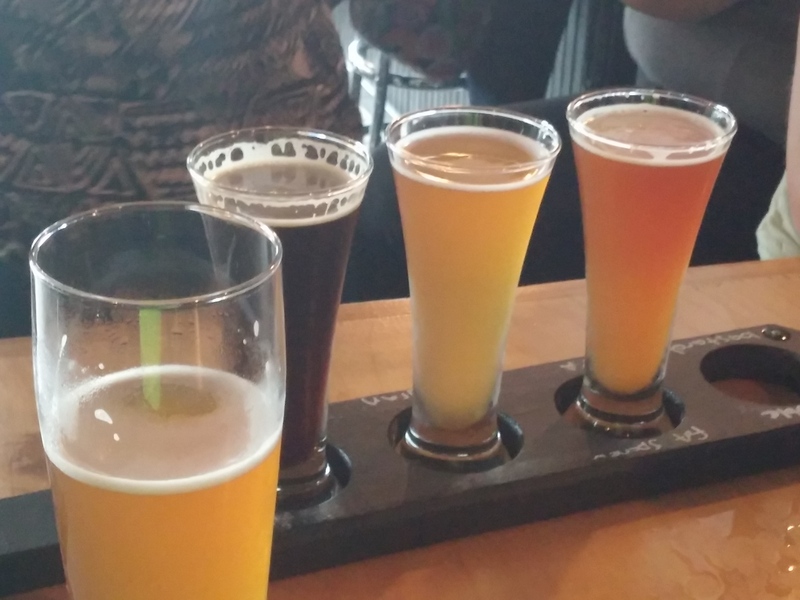 The Taps were full of flavorful selections and everyone was very familiar with their offerings and friendly. The layout was very nicely done and every glass was eagerly drained. This is a great spot to hit that really holds down this part of town. What is on tap is the star of the show! 7 Layer Stout, Downstairs Wife and Phat Sparrow were drunk down with glee! It was great to see the eclectic mix of people that were enjoying the wide range of kegs available. Needless to say this is a must see. Next up was Wop’s Hops in Sanford. Always great seeing the historic side of town being revitalized. This place never disappoints with its historic Fish market location and bold selection of beers. There was allot of variety to be had and the group tried everything. Everything from Morning Wood to Pope’s Poison with some Raspberry Ale was drunk dry! The unique layout has a nice outside area that adds a special flavor. This is the place to be if you make it into this area. Winter Park Beer Company offered up a food and beer pairing that was amazing and had a wide selection. The Sangria was very flavorful and as close to perfect as I ever tasted and the Jalapeno hefeweizen was amazing as well. There were some IPAS that were taken home in growlers and everyone loved the unique feel of the place. David really knows how to host as well as brew. 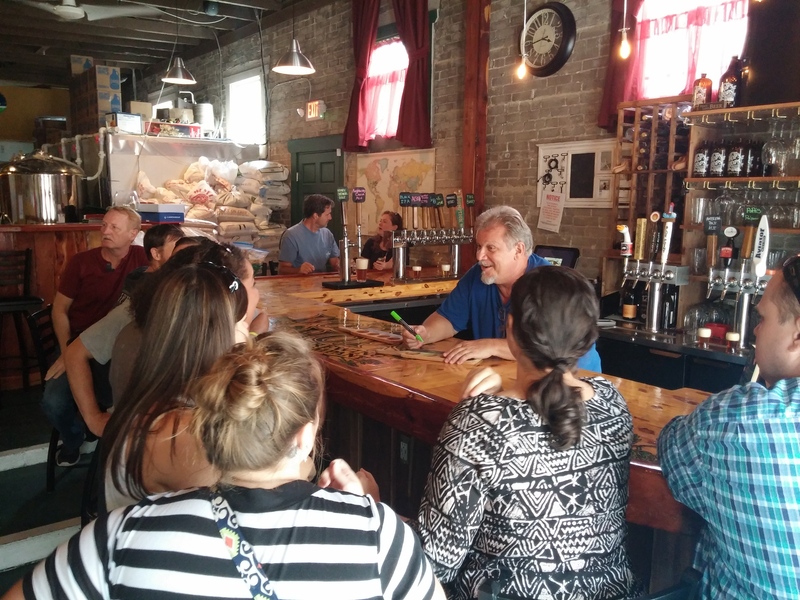 The decor and flowing floor plan allowed the tour plenty to explore and the taps allowed them plenty to drink! I am grateful for all of the variety in the Orlando Microbrewery and pub scene. It is always a great time to be able to show it off for people in a way that keeps it safe. On my tours coolers are welcome aboard as well so the fun never stops. 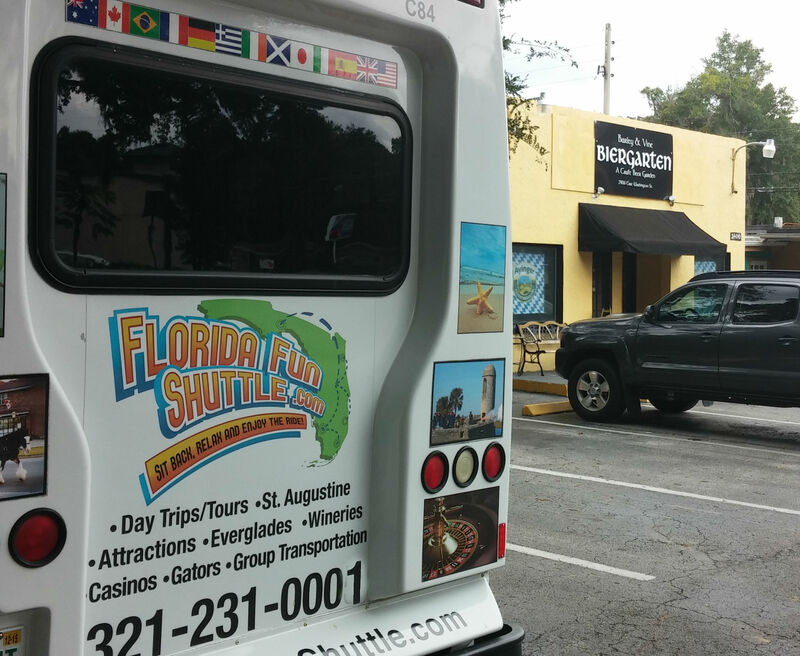 Be sure to stop by www.flfunshuttle.com and book your tour today! Craft beer is a passion and a hobby. Do not do a corporate tour. Do it right! Part of bringing great service is working with the right people to get the word out. 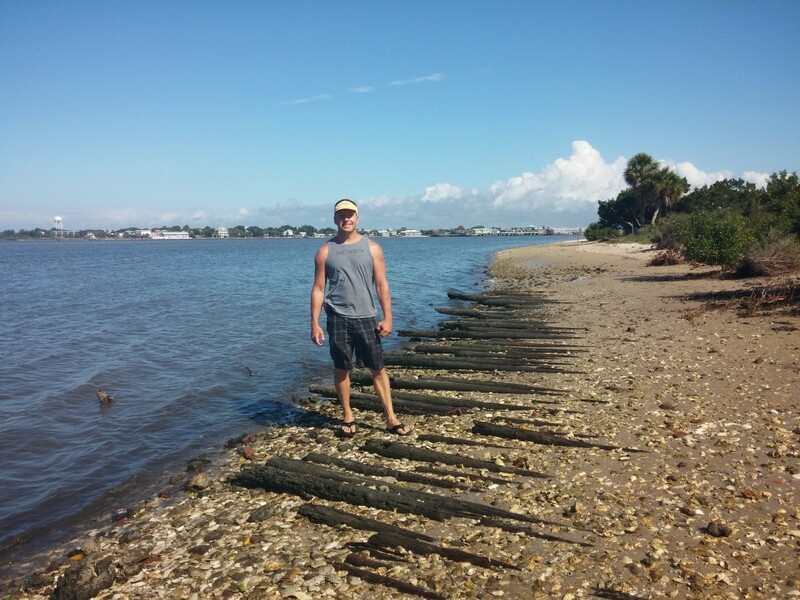 I am very happy to be working with Craft Beer Guru and Author Gerard Wallen through his awesome site BeerinFlorida.com. 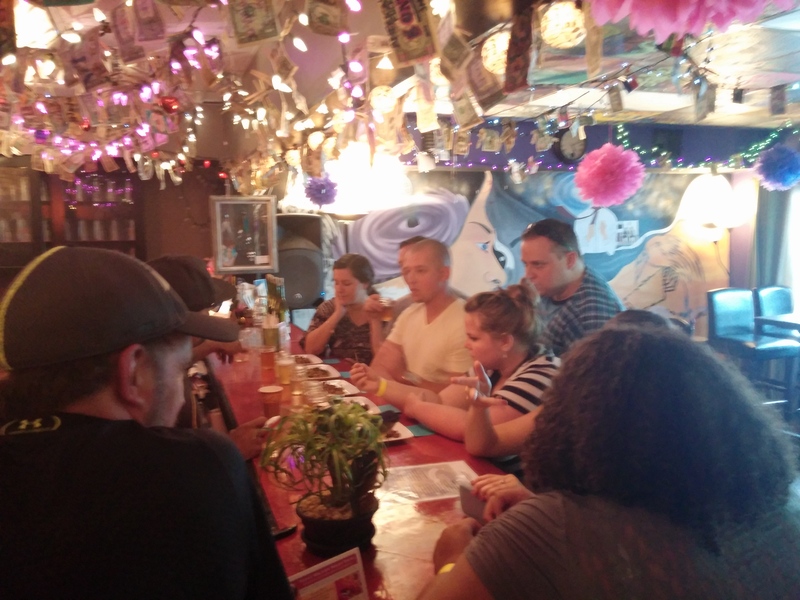 The Florida Craft Beer scene is alive and it is my passion to give people the very best way to experience it. 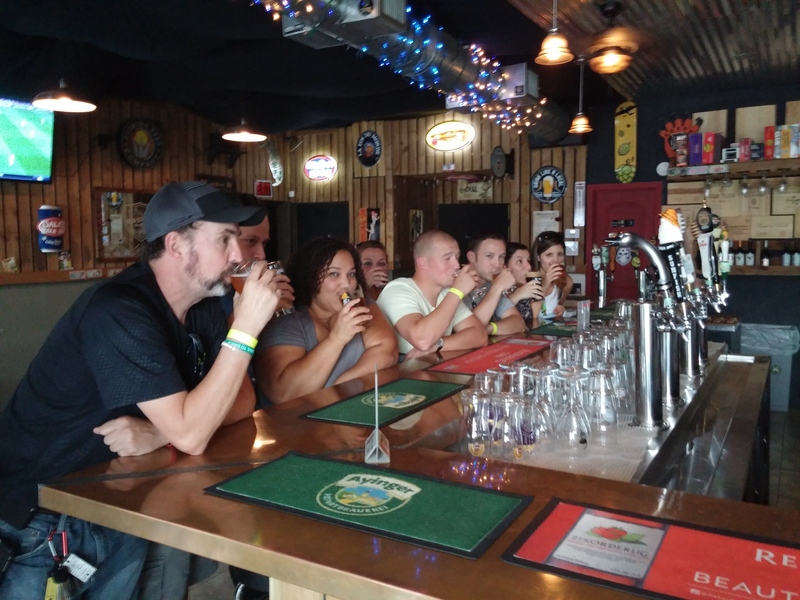 By being a part of his wonderful site I can let the right people know about the Craft Beer tours I currently do and allow me to create new and exciting adventures! 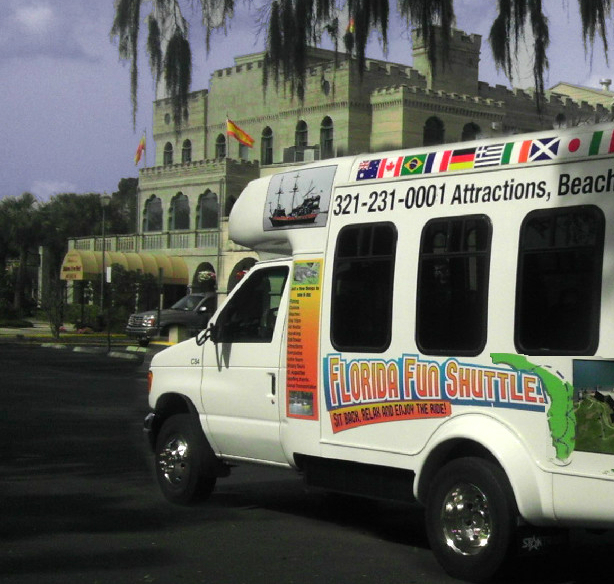 With 16 seats and room for a cooler Florida Fun Shuttle is a fun and responsible way to experience this evolving scene. Craft Beer is a true artistic expression and I am glad to be a small part of this. It is time to expand your horizons! Just remember to be safe and have fun responsibly! Look for this banner on the site and click here to Book a tour! 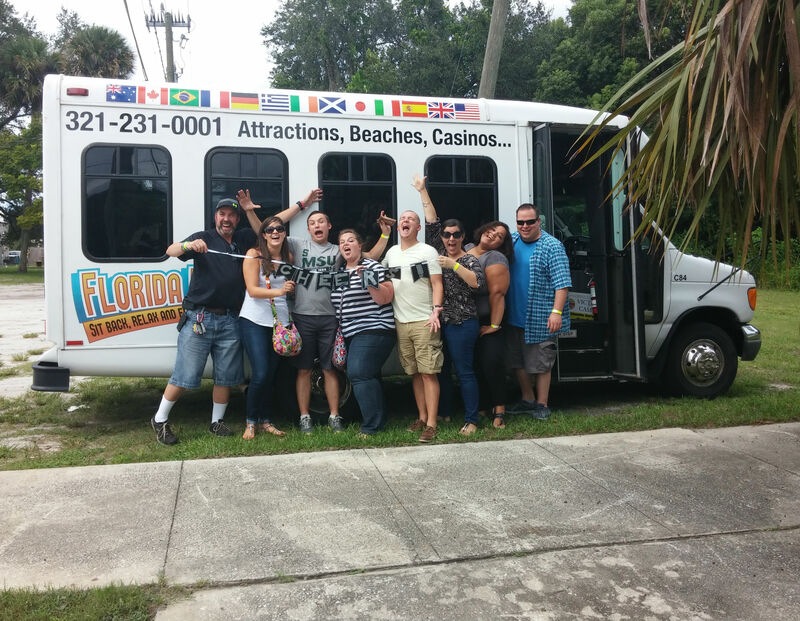 Orlando, August 05, 2015 — Florida Fun Shuttle has been selected for the 2015 Best Businesses of Orlando Award in the Travel Services category by the Best Businesses of Orlando Award Program. Each year, the Best Businesses of Orlando Award Program identifies companies that we believe have achieved exceptional marketing success in their local community and business category. These are local companies that enhance the positive image of small business through service to their customers and our community. These exceptional companies help make the Orlando area a great place to live, work and play. Various sources of information were gathered and analyzed to choose the winners in each category. 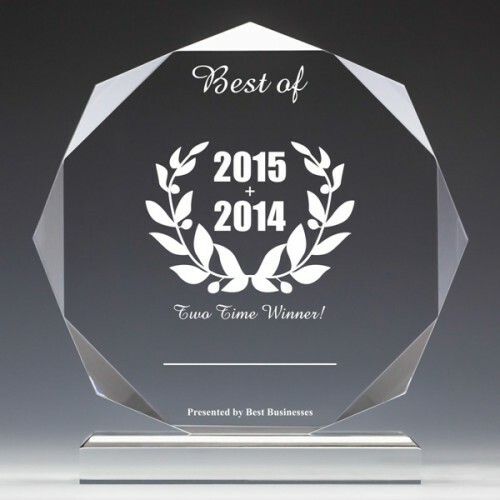 The 2015 Best Businesses of Orlando Award Program focuses on quality, not quantity. Winners are determined based on the information gathered both internally by the Best Businesses of Orlando Award Program and data provided by third parties. The Best Businesses of Orlando Award Program is an annual awards program honoring the achievements and accomplishments of local businesses throughout the Orlando area. Recognition is given to those companies that have shown the ability to use their best practices and implemented programs to generate competitive advantages and long-term value. The Best Businesses of Orlando Award Program was established to recognize the best of local businesses in our community. Our organization works exclusively with local business owners, trade groups, professional associations and other business advertising and marketing groups. Our mission is to recognize the small business community’s contributions to the U.S. economy. You don’t wear your parent’s clothes. Why redo their wedding? 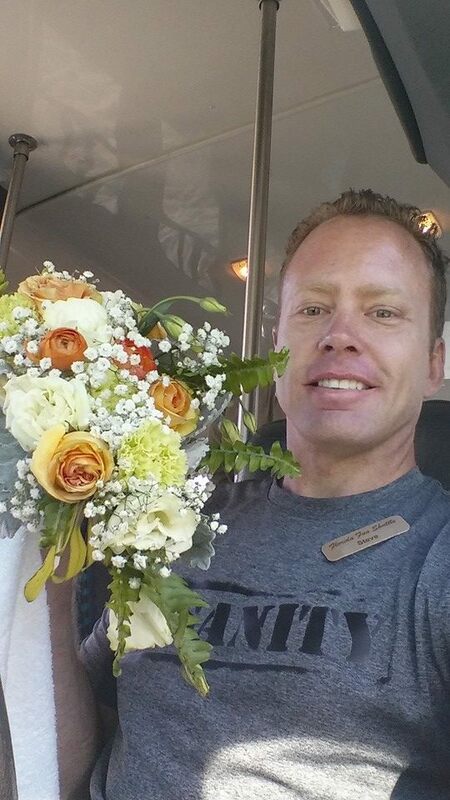 If you want an amazing one of a kind wedding you have come to the right place! In the past I worked too many weddings where things cost a fortune and the event was something that did not fit the couple at all. I do custom themed weddings that are tailored to both of you and your small group. 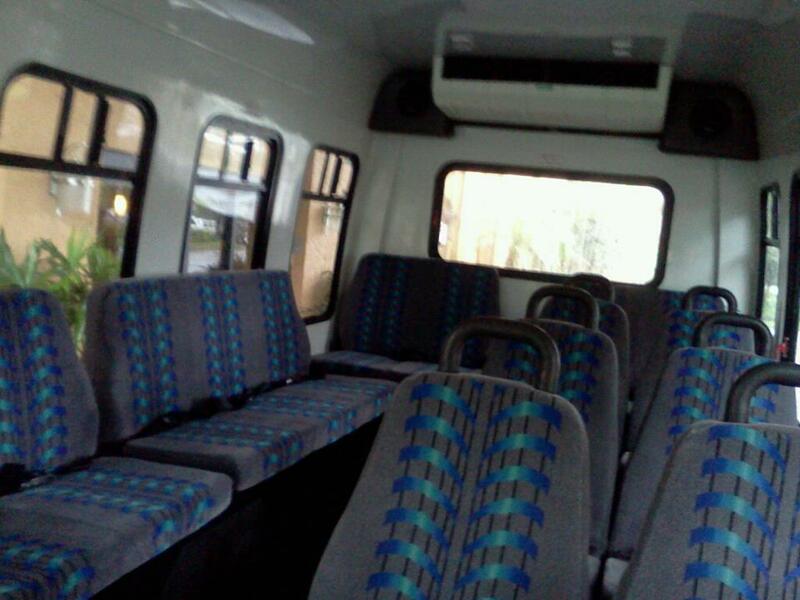 This usually entails transporting up to 16 on your own private bus, where you can BYOB. 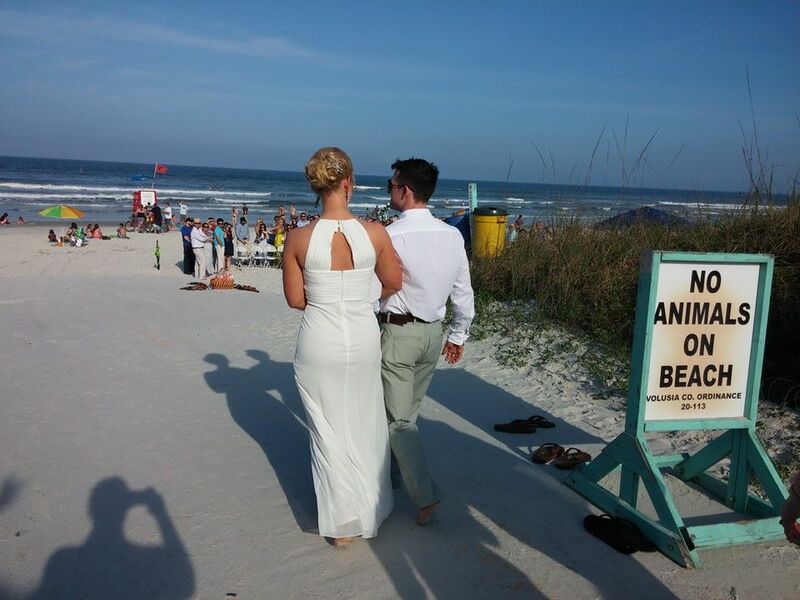 I then officiate your wedding at a great place like a microbrewery or alligator park and much, much more! Then, we get a reception in and bid you farewell to start your new married life! Save a ton and do it your way! Love Wins! All are welcome with me!